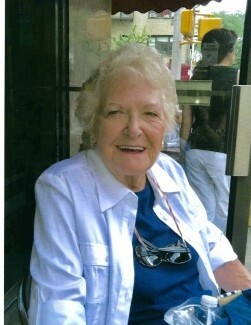 Obituary for Ethel Lorraine Riedel | Arthur F. White Funeral Home, Inc.
Riedel, Ethel Lorraine, of Farmingdale passed away on April 1, 2019 at the age of 96. Cherished Grammy of Lorraine Marcis and her husband Michael. Beloved mother of John Riedel, Joyce Craycraft and Frederick Riedel. Adored grandmother of Jenna and great grandmother to Ryan, Matthew, Alex, Logan and AJ. Memorial Visitation Thursday, April 4th, 3-5 and 7-9 pm at Arthur F. White Funeral Home, Inc., 315 Conklin Street, Farmingdale. Memorial Service Thursday, April 4th, 8:30 pm. In lieu of flowers please make donations in Ethel's memory to a charity of your choice.